New York State Social Work CEUs are available for select sessions. Advanced registration is required by notifying the NY State Caregiving and Respite Coalition by April 24, 2019 to receive the CEUs. For more information or to request CEUs, please contact Sharon Cackett at scackett@lifespan-roch.org. Please be sure to put "Illuminating Respite" in the subject line of the email. More information. What better way to understand caregivers, than to spend a few hours in their shoes. This active simulation allows participants to experience a fraction of the challenges caregivers face, day in and day out. Each participant will be assigned a role, and will have tasks, dilemmas and opportunities to navigate throughout the morning. We believe that this experience can develop empathy for caregivers, care receivers and agencies who are involved along the way. We invite you to join us in this simulation as a way of better understanding caregivers, so that we may then effectively engage them. Since we first began talking to each other, telling stories has been a powerful way to capture attention, engage an audience, and motivate them to act. As we learn more about how our minds work, we’re also discovering that stories are intrinsic to decision-making, shape our view of the world, and affect our daily decisions. 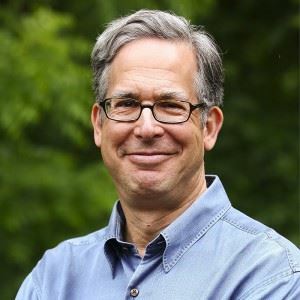 In his plenary address, “Storytelling as Best Practice," Andy Goodman will explain why storytelling remains the single most powerful communication tool you possess, and he will offer specific ways your organization can use stories to advance your mission. This presentation explores access to legal substituted decision-making document preparation as an element of respite provision to family caregivers, particularly those in the immigrant community. Immigrant families are overwhelmingly likely to turn to family caregivers over outside sources, and are less likely to have access to substituted decision-making services. Participants will learn how education and outreach regarding substituted decision making can ease a family caregiver's burden. Having a Crisis Plan in place is beneficial when families face a behavioral crisis where a family member is a danger to self or others. However, as with many things that are good to have, families do not always do it. This current project seeks to understand barriers and obstacles to a family’s development of a Crisis Plan. Presentation will include the Crisis Plan template and guidebook as well as findings from use. While Maryland has offered respite services across the lifespan for a number of years, it has only recently implemented an emergency respite program as part of its Lifespan Respite grant. Emergency respite is intended for use when the absence of the primary caregiver is unavoidable and all other options have been exhausted. There are unique challenges implementing a new emergency service such as this. This session describes these challenges and offers guidance for other states that might be interested in offering emergency respite. This session will illustrate the roles that ShareTheCaregiving, Inc. and EmblemHealth’s New York City Partnership for the Family Caregiving Corps have taken on broadening their efforts to support diverse caregiving populations. Through the realization of synergies across non-profit, government, institution and corporate borders, these organizations have lengthened their reach and broadened their ability to guide and support the growing numbers of caregivers. This dynamic workshop will provide an historical context plus practical considerations while developing respite programming for a variety of population needs. Participants can ask questions and offer suggestions. Providing respite in Washington with a Lifespan Respite approach involves a vital matrix of programs, funding sources, and partners; e.g., state, private, non-profit groups, tribal, brain injury, military, etc. It will show how a program can unfold to become an important community service model. This presentation will delve into Project CARE’s transition to standardizing its care management approach to increase consistency and quality in the delivery of services and supports for caregivers who wish to keep caring for their loved ones at home. It will also discuss approaches taken to quickly ramp up the program to meet its fullest potential and impact statewide. This session introduces an illuminating and innovative dementia-friendly wellness and fitness respite program model, Revive and Thrive, developed and implemented by a Massachusetts YMCA. The session also shares findings from a qualitative research study performed by one of the pilot program’s interns and co-facilitators -- findings indicating the need for such a program. Session participants will also have the opportunity to explore the need and possibilities for creating such a program in their community. Join a panel of professionals from Lifespan and the Finger Lakes Caregiver Institute to learn creative programming ideas, resources, tools and more on how to holistically serve caregivers of people with chronic disease and/or dementia. Learn best practices in using volunteers to build sustainable respite programs. Panel members will present an overview of several respite programs, the how-tos of getting started, and how collaboration is the key to success. Service delivery in every country is influenced by government policy, cultural beliefs, advocacy and resources. Learning from other countries helps us to develop best practices and appreciate the contribution that can be made at the global level to work together to help people with disabilities and older adults lead good lives and support their families and loved ones. The American and Canadian ISBA representatives will share the latest information from the International Short Break Association (ISBA) Conference (Iceland). Senior Corps launched two longitudinal studies to look at the health benefits of volunteering in our programs and the impact of our Senior Companions on family caregivers. This session addresses our Longitudinal Study and the health benefits of volunteering in Senior Corps programs as well as the benefits to the caregivers. We will also share information on the ways to further leverage this national volunteer program locally. Planning ahead has many benefits. How can planning uncover “tools” to pay for respite? What “key” factors can be discovered that provide natural resources and/or peace of mind to alleviate caregiver stress? Can planning reduce caregiver burnout and exhaustion thereby diminishing the need for respite? Come see! Learn what we do at Future Care Planning Services and how you can do it too! This presentation will provide an explanation of what a Pooled Trust is and how it benefits individuals with disabling conditions of all ages as well as the aging population. The presenter will explain how an individual can remain or become eligible for government benefits, such as Medicaid and Supplemental Security. Attendees will have a better understanding of Pooled Trusts, which allows individuals to remain living in the community with adequate care. The Respite Care Association of Wisconsin (RCAW) and its partners will provide a brief history of the organization and the state Lifespan Respite program, and how taking a hard look back helped determine how to move forward. A fresh set of eyes and a new perspective set against the backdrop of changes in the long-term care (LTC) delivery system enabled RCAW to make difficult decisions & implement changes with the goal of meeting the needs of family caregivers while adding value, impact, and increasing our sustainability - with a very limited budget. Come learn how an entirely volunteer-led social model respite program can benefit people living with dementia in your own backyard! 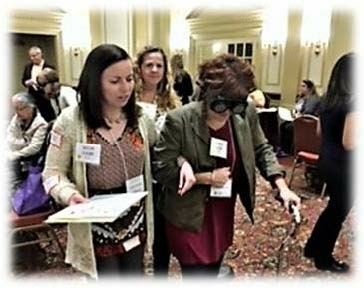 This session will include an interactive sensory experience on how dementia impacts your senses and why the unique training and management model of these programs by the Alzheimer’s Association, WNY Chapter is utilized by volunteers at 20+ locations across the region. Learn how to empower volunteers, develop collaborations with community agencies, and obtain program funding. This session is aimed at caregivers who wish to learn the power of social day programming and the benefits it can have on individuals with early to mid-stage dementia. Participants will learn who is appropriate for such programming, how to overcome the barriers and challenges of enrolling your loved one and identify powerful caregiver resources for finding the right social day program that provides social and mental stimulation for people dealing with early memory loss. The collaboration of multiple agencies and academic partnerships brought forth the creation of a student nurse experience that meets the needs of families in Rhode Island who are caring for loved ones at home and have little opportunity to relinquish their caregiver responsibilities. The families are encouraged to use the provided respite time for self-care activities, which will help them remain energized and able to sustain caring for their loved one at home. Helping Those Who Care (HTWC) is a respite education training developed by the Alabama Lifespan Respite Resource Network in conjunction with Alabama’s AT Act program that introduces aging caregivers to simple assistive technology (AT) solutions for daily living activities as a form of respite. Respite professionals and stakeholders will receive tools to replicate HTWC, including the identification of states’ AT Act programs and benefits of partnership. Come take a walk through a 30-year journey of a grass roots organization that has remained privately funded from its inception. Through trials and tribulations innovative programs and funding efforts have been created. Learn how you can take your dreams and turn them into a reality with a deep impact or simply grow your existing programs to meet increased needs. Have you met a grandparent raising a grandchild and wondered how they stepped into this role and what their needs are? By attending this presentation, you will learn more about the Kinship caregiver role, what works and what does not work while providing respite care, and creative ways to serve multigenerational families. Results of a study examining factors associated with unmet respite care needs in 2,518 families of children with special healthcare needs will be presented. Families of children with autism spectrum disorder, whose child has high caregiving demands and functional limitations, and whose family perceives higher family fiscal burden are at highest risk for unmet respite needs. This interactive workshop is a gateway for participants to join an International Knowledge Exchange. The Knowledge Exchange was developed to identify evidence-based and -informed respite practices that can be adapted and applied across countries and cultures. Participants will help build a culture of international learning and research by sharing their experiences and findings—through research, evaluation, or practice—about best respite-care practices for increasing the well-being of caregivers, care recipients, and their families. Rev. Dr. Cynthia Huling Hummel, a Presbyterian pastor, brings a unique perspective to faith-based respite care. 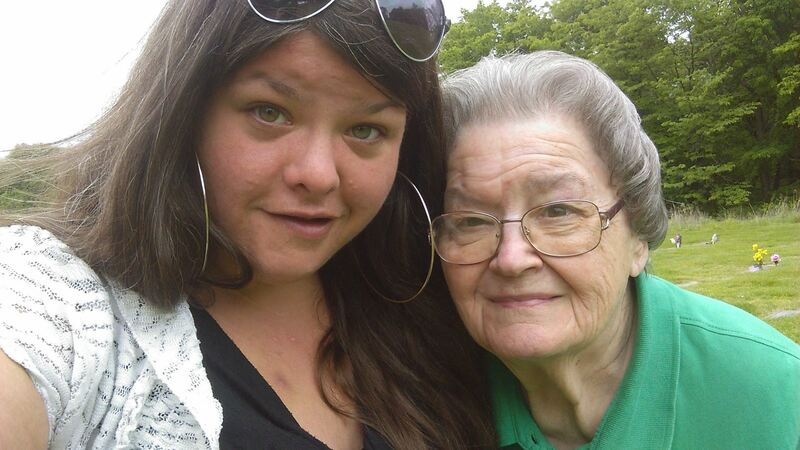 She has been a caregiver and a care receiver and a resource to faith communities. Diagnosed with Early-Stage Alzheimer’s Disease in 2016, Cynthia joined the Tri-County Faith-Based Respite Coalition to resource congregations in NYs Southern Tier. She is co-founder of “Faithful Friends Respite Care." How can we best support caregivers/care partners of people with Parkinson’s disease? It’s time to shine the light on the caregiver’s/care partner’s experience as it pertains to Parkinson’s disease (PD). PD can create physical, emotional, social and financial stressors for caregivers. This session will explore the unique complexities of this disease, the impact on care partners and specific information about providing caregiver support. This panel of faith-based organizations using REST (Respite Education and Support Tools), an evidence-informed training program to train respite volunteers, will give ideas and resources to energize and excite participants to begin their own faith-based respite care programs. The role of faith-based organizations in providing respite care in their communities and beyond will be part of the discussion. The Apostle Paul faced many adversities through his life; doubt, fear, and isolation. Yet he overcame it all because he saw the hope in Jesus and became one of the greatest followers and advocates for Jesus Christ. The Living Well strives to connect people to that same hope as they face their own struggles. Paul's Place Respite offered free of charge, with REST trained volunteers, provides another opportunity to come together as a community. Child Care Aware® of America (CCAoA) has been facilitating and improving on the implementation of military Respite Child Care for ten years. The program evolved from initial concepts to full development by understanding families’ needs and adapting the program to meet those needs. There have been lessons learned for respite care implementation. The presentation is aimed at exploring best practices that should be considered by other respite care practitioners. The Veteran-Directed Home and Community Based Services (VD-HCBS) program is a program of the U.S. Department of Veterans Affairs (VA) for self-directed care. This VD-HCBS program is a partnership with the local VA and Alamo Area Council of Governments that works with Veterans who are at risk of long-term placement. This program is designed to keep the Veteran in their homes by providing needed goods and services, such as respite. The Veteran or Veteran Representative hires, supervises, evaluates and pays the employee to provide the requested services. Reaching family caregivers through community outreach is difficult. Caregivers come from all walks of life and there is no single outreach strategy that reaches all effectively. Easterseals Colorado and the Colorado Respite Coalition have developed innovative outreach strategies to help connect families and professionals with needed resources. Explore opportunities for your outreach efforts and the lessons learned from our experience, including adaptable models and creative partnerships. Family care has been shown to improve health outcomes for patients and increase meaning for caregivers. In April 2016, NYS Governor Andrew M. Cuomo took action to make Paid Family Leave a reality and a right for working New Yorkers by signing a law that took effect January 2018. This presentation provides information on NY’s landmark Paid Family Leave, emphasizing how it can be used to care for loved ones with a serious health condition. This case study described in this session is about a partnership between a research-intensive university and a non-profit organization focused on aging services to provide respite support to caregivers. Houseguest, a caregiver respite program, was designed using a community-engaged scholarship model of integrating research, teaching, and service. This is an experiential workshop designed so participants can actively engage in exercises that are a part of the unique program that is Nancy’s House. Information provided will be applied, practical, and research-based. Program outcomes and supporting research will be discussed. Our experience teaches that non-pharmacological approaches have wide range benefits for everyone. When using personalized music, we promote the recall of memories that inspire a renewed sense of self for participants, fulfillment of purpose for their caregivers and deepened connections for family. Applications include at home, nursing homes, assisted livings, independent livings, hospitals, behavioral health, hospices, home health, adult day, community organizations and intergenerational programs. A little bit of fun can go a long way to relieve caregiver stress and anxiety. Every step matters when improving the quality and impact of In-Home Respite Services, from using humor and music to create joyful moments and reduce caregiver stress to keeping caregivers engaged using a strength-based perspective. Tips on technology such as an in-home "assistant" will be shared. Learn how The ALS Association, MN/ND/SD Chapte, created a program to provide a respite for family caregivers of persons with ALS. You’ll get an overview of how our program works, as well as the steps taken to onboard families. We’ll talk about our program successes and challenges, including the barriers we’ve encountered regarding getting families to use it, and making the service available in our vast service area. Dr. Beach has served a long career in the aging arena. He now serves as the CEO of the Western Reserve Area Agency on Aging. In this session, he will share his personal experience caring for his mother-in-law at home. Coupled with his passion of educating caregivers about seniors, Dr. Beach touches on his personal journey and offers tools and tips to inspire confidence and self-efficacy to those who want to take care of family and friends at home. Non-profit organizations offer niches of respite if given funding and technical assistance. Locating organizations with the capacity to imagine offering respite was hard, but we succeeded and funded them with Lifespan Respite grant funds. Examples of respite experiences provided by the funded non-profits include: backpacking trips for caregivers of cancer survivors; five-hour recreation events for families of children with intellectual disabilities--all family members enjoy time with peers; in-home services for caregivers of children with significant medical complications; and respite to lifespan caregivers attending Powerful Tools for Caregivers classes. “Break Room” is South Carolina’s new Lifespan Respite grant initiative encouraging faith communities to provide respite to family caregivers during religious services/events by giving care recipients onsite care/activities while caregivers attend congregational activities. It is a simple concept that normalizes respite making it manageable for even small houses of worship. Workshop covers steps from idea development to implementation, tools used to create the structure (e.g., mini-grant application/instructions, training handbook for grantees), and challenges and successes during this inaugural year. 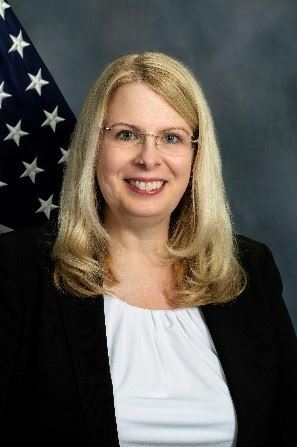 C. Grace Whiting, J.D., is the President and Chief Executive Officer at the National Alliance for Caregiving (NAC), where she continues her tenure from previous roles including Chief Operating Officer and the Director of Strategic Partnerships. Grace led the launch of the Caregiving in the U.S. 2015 report with AARP and directed the first national study of rare disease caregiving with Global Genes. She has contributed to several national reports on caregiving, including Cancer Caregiving in the U.S. with the National Cancer Institute and Cancer Support Community, and Dementia Caregiving in the U.S. with the Alzheimer’s Association. 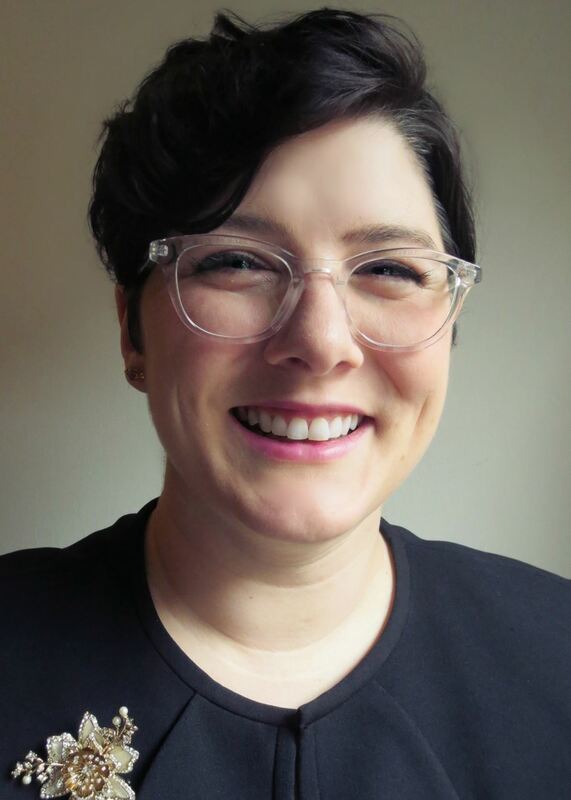 She has spoken on caregiving at national and international conferences, including the 7th International Carers Conference and at multiple national summits at the National Institutes of Health. Grace has also served as a resource to major media on the topic of caregiving and aging, including C-SPAN, The Wall Street Journal, Time Magazine, Oprah Magazine, Women’s Health Magazine, and Kiplinger’s Retirement Report. 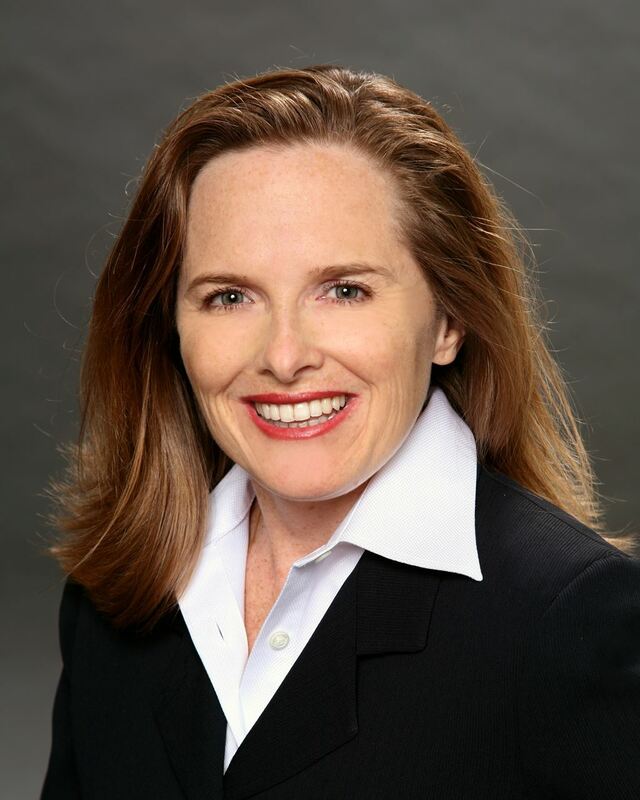 In addition to her leadership role at NAC, Grace represents the U.S. on the Governing Board of the International Alliance for Carer Organizations.